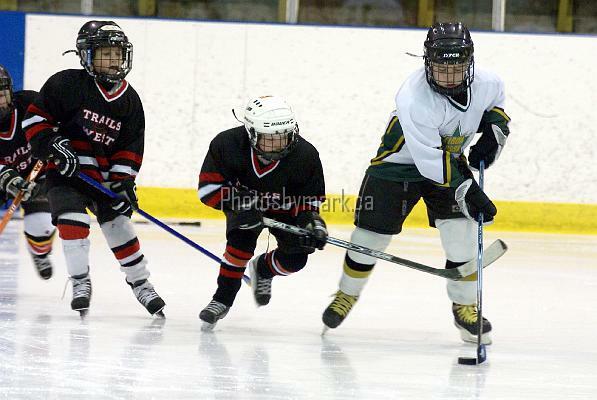 Spring Hockey program is open in Calgary for boys and girls in the following age groups: Initiation (Timbits), Novice, Atom. It is organized by Spring Hockey which is an independent amateur minor hockey league in Calgary, Alberta run by volunteers. The league has been operating in Calgary since 2009. The goal of the program is to give young athletes an opportunity to further develop their skills and have fun playing hockey by extending their hockey season. This additional hockey experience will help them to become better prepared for evaluations/tryouts and the start of the next hockey season as well as develop their character and mature physically and mentally. The spring hockey season is open for 3 months (April, May, and June) - it starts in early April and finishes before Canada Day. Teams will spend up to 30 hours on the ice (depending on the age group) with 2 ice times each week (1 practice, 1 game). Most of the games and practices for all age groups are scheduled during weekdays (starting times between 5:30 p.m. and 7:00 p.m.). Games will be played in 5-on-5 format on full ice. Young athletes will be coached by certified coaches. Uniforms (jerseys, socks), water bottles, pucks, etc. will be supplied. There are no tryouts, players will be placed in teams based on their age group and skill level (division played) during 2018-2019 mainstream (community) hockey season after December 31, 2018. Each team will consist of players of different skill levels to ensure the best parity among teams. No residential restrictions are applied to the registration. Space is limited and all players will be registered on a first-come-first-served basis. Team registrations available (discounts will apply): please send an e-mail to info@springhockey.ca with "Team Registration" in the Subject line.